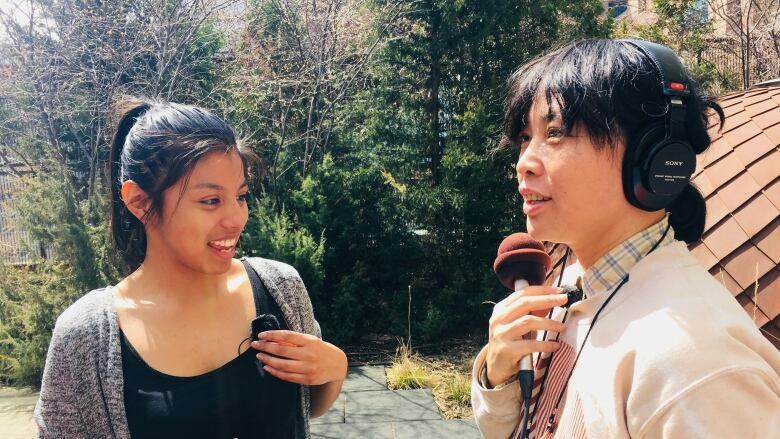 Caterina Sinclair was working a shift at Native Canadian Centre, Toronto's oldest Indigenous community organization, when Sook-Yin Lee asked her to be a guest on Sleepover. The artist and social entrepreneur spent six difficult years in foster care. Needless to say her relationship to Native Child is fraught. Mostly because she's got a lot of ideas on how to fix the system. "[My siblings and I] got all this help, we got all this mental health support, but I'm not sure I saw the same support for my mom," she said. "The hardest part about being in foster care was letting go of my mom, letting go of the role that she had in my life and growing without her." Caterina's still processing her years in foster care. "As much as I think I've worked through all that, there's still work to do. My family is still struggling but now it's a story of like how I as an individual am going to take care of myself," she explained. "A couple of years ago I might have been a little more resentful and less at peace with this space," she said, referring to Native Child. 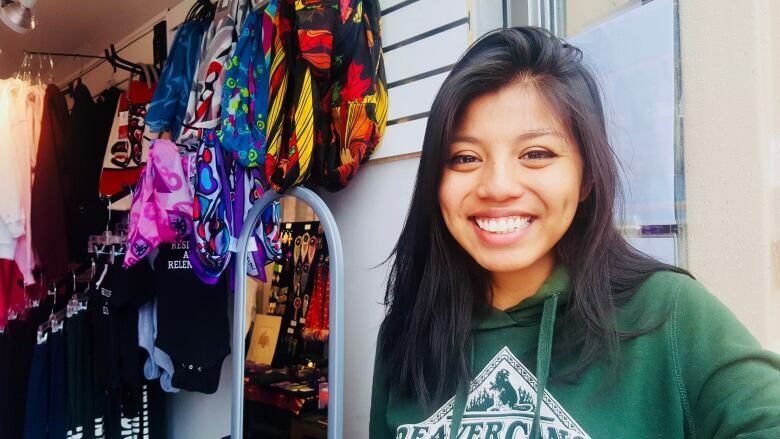 From the Saulteaux Ojibway Nation on her mom's side, and Manila, Philippines on her dad's, she was fostered out to a religious Jamaican family at 12 years old. She and her siblings struggled in the new home at first but eventually they built a good relationship with their foster mother. 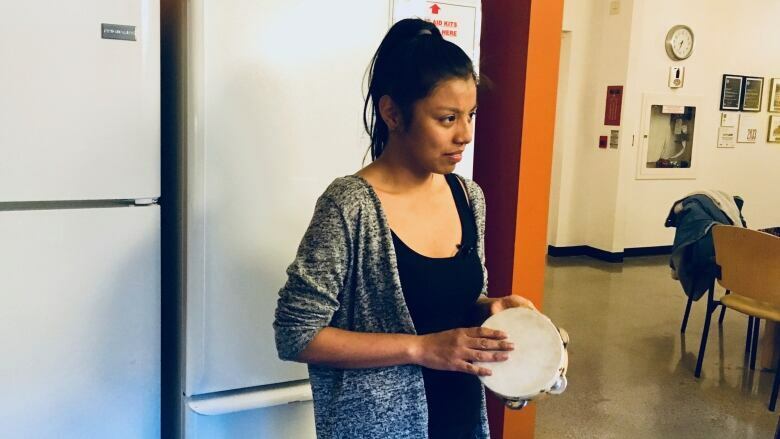 "She was one of the first people to tell me Native people and black people we were hurt by the same people at the same time on the same land for the same reasons and so we need to stick by each other," Caterina said. It was her first experience with allyship. Caterina's spirit name is Memengwaa Kwe (Butterfly Woman). It's very fitting for the stage she's at in life. "The messy process of becoming a butterfly: first, you start off as a caterpillar then you go through all of this change, all this inner turmoil. You're by yourself then you end up stronger." She's at a fork in the road with her friendships. A lot of her pals want to keep partying but she's not really into that anymore. So how she does she keep them around? "I saw an Elder he advised me to quit drinking," she explained. "It was like a complete energy change. I really began to see the power of traditional medicines. I thought I was okay." But earlier this year she had a beer with friends and things felt different. "Immediately I just felt angry. I went through the whole gamut of emotions. I could see that alcohol can't be a thing for me because I was becoming nasty with it." She doesn't want to have to feel that way anymore. She committed to a healthy life but she's wondering if her friends can cope. Listen to the episode to hear how Tegan and Jordan help Caterina work it out.